Did you know that the building blocks to literacy begin before a child is even born? How about did you know that nearly 85% of brain growth happens during the first three years of life? There are four building blocks that build the foundation for literacy: Health, Families & Communities, Early Care & Education, Ready Schools. 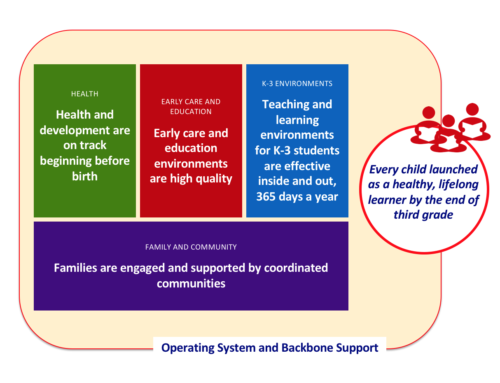 Learn all about the Campaign for Grade-Level Reading and more about these building blocks by looking over our Campaign for Grade Level Reading handout!